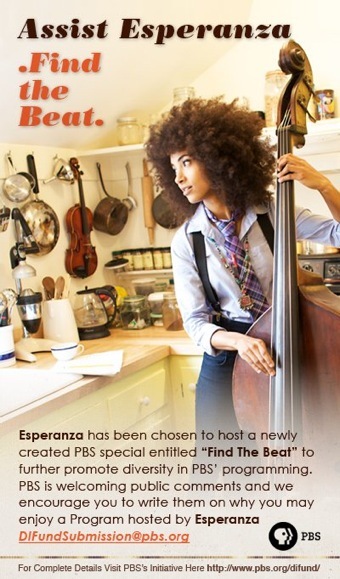 Esperanza Spalding could be hosting a new progressive music show on PBS called Find The Beat, w/ co-host Pierce Freelon. We need your help to make this happen! Email: DIFundSubmission@pbs.org and tell PBS to fund Find The Beat. Read more here.